Drive 360 Logistics surveyed over 100 transportation and logistics companies and found most were losing thousands of dollars daily due to lack of personnel to maintain and drive their trucks. And that’s just the short-term impact. Losing customer trust and business can cause serious implications in the long-run. It is imperative to keep trucks moving and bays filled. The ability to reach qualified commercial truck drivers and diesel mechanics to meet your needs is invaluable. At Drive 360 Logistics, we will customize a recruiting program to your company’s size, geographical location, and available positions. Top-tier CDL drivers and diesel mechanics are attracted to our proven field success and leading industry experience. Our innovative advertising drives efficiency and lower costs, which we pass on to our clients. As a result, we guarantee you lower recruiting costs and higher retention rates. 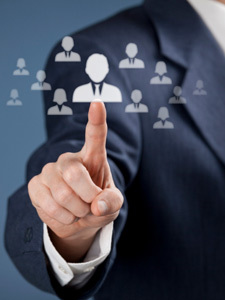 If we cannot find a qualified individual to meet your needs, there is absolutely no cost to you. test, and interview candidates for you before they even cross your threshold. recruiting top talent for your critical openings. We will customize a program to fit your specific needs.